If you have fine or thin hair, chances are it doesn’t take that long to dry and is a little easier to manipulate into shape. But what about those of us with thick, untameable tresses? When the weather is warm it’s much nicer to let our locks dry naturally, but how do we do it without stepping out the house with half wet messy hair? It’s easier than you think and just requires some simple changes to ensure all goes smoothly. A good place to start is cutting out the amount of times you wash your hair a week as shampoo is known to strip your hair of its natural oils, making them more exposed to the air. If your hair isn’t super dirty you could always just rinse it and run a bit of conditioner through to give it a fresher appearance and make it less frizzy afterwards. Also, conditioner coats strands and keeps water out better, meaning they will dry quicker! If you desperately need to clean opt for an anti-frizz shampoo on the days you choose to air dry your hair so you can keep things under control. It’s good to comb your hair while in the shower too so you get rid of all the knots while it’s wet rather than when it’s starting to dry. Air drying means having things as perfect as possible when you step out of the water. 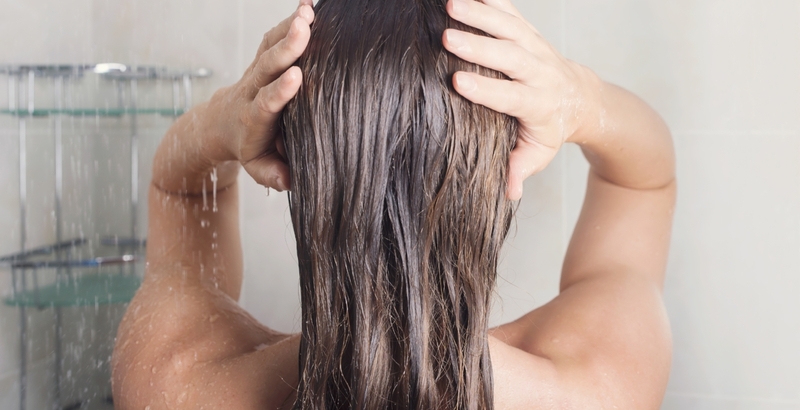 Don’t rub your locks when you’re done either – it’s a recipe for tangles and frizz! Invest in a towel which you can tie your hair up in, preferably a microfiber option which will make things super soft and lovely. Do gently squeeze any liquid out though before wrapping up. Next find yourself a good leave-in product to treat your tresses too – after all you want your finish to last all day, not just for the first 10 minutes you step outside your front door. Bumble and bumble Don’t Blow It is great on a day when you’re avoiding the hair dryer and it won’t weigh your hair down, giving a great end look without the messy product feel. And on top of the texture you get UVA and UVB protection! John Frieda Frizz Ease Dream Curls Air Dry Waves is another option which will do as it days on the packet, giving you gorgeous waves without the dreaded frizz. Last but most important, don’t touch your hair too much. While it’s in the process of air drying as little contact as possible is needed so it can do its thing. This article was written by Sophie Connolly from Cover Media Beauty and was legally licensed through the NewsCred publisher network. It is not endorsed or sponsored by John Frieda. Please direct all licensing questions to legal@newscred.com.